The Kyub is a special MIDI keyboard in the shape of a cube with capacitive sensing and an internal accelerometer based on a Teensy2. 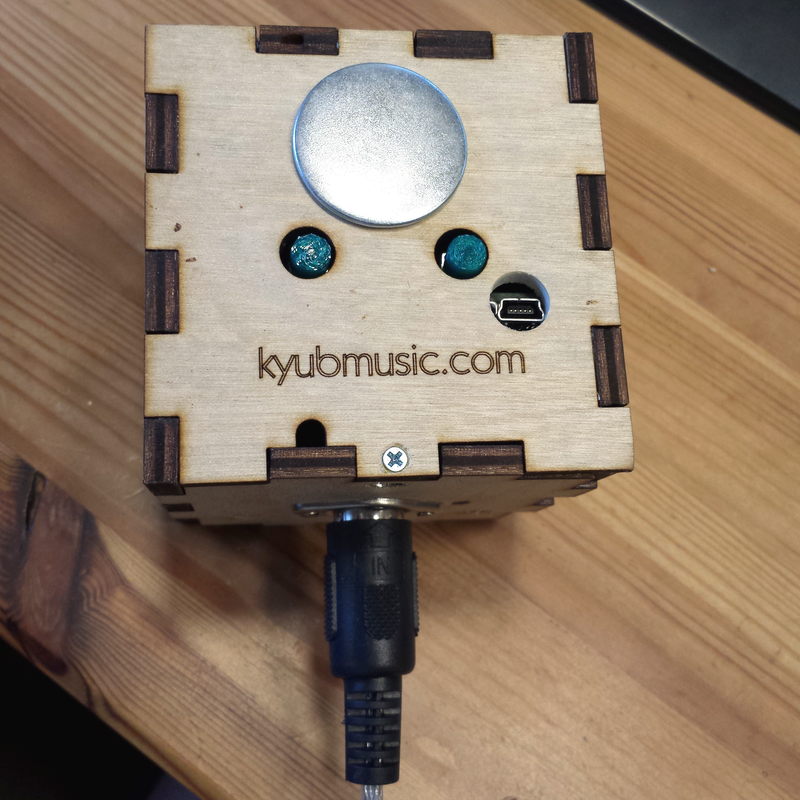 More info at kyubmusic.com. 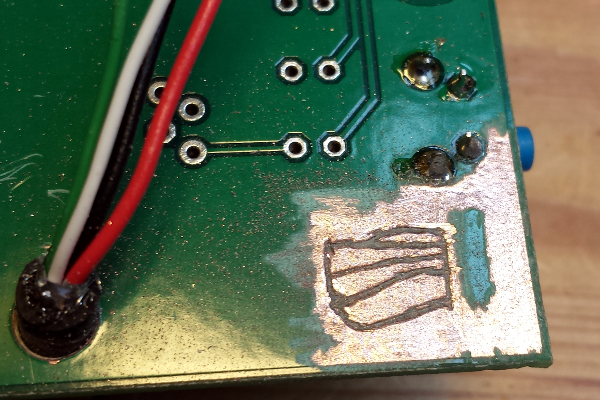 The first hack is in fact the repair of a bug. 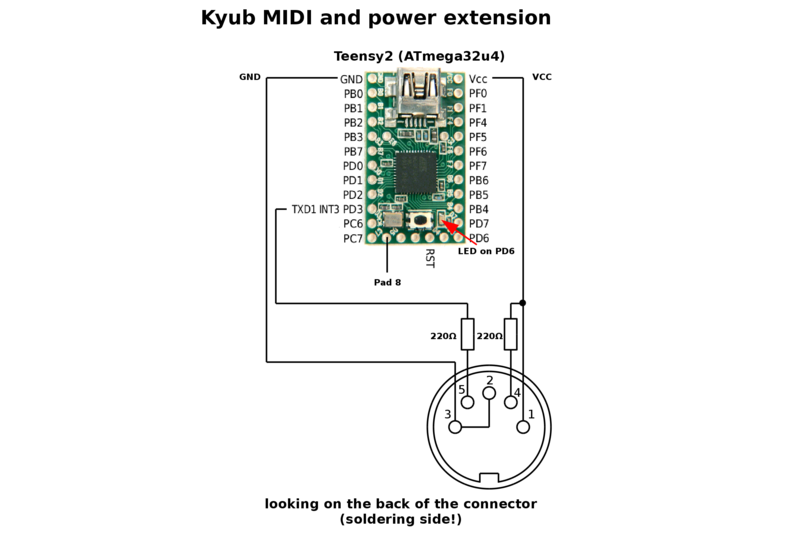 The Kyub-PCB has a missing connection between two ground plains. The reset button gets no ground and a reset is not possible. A wire connects now the two plains. 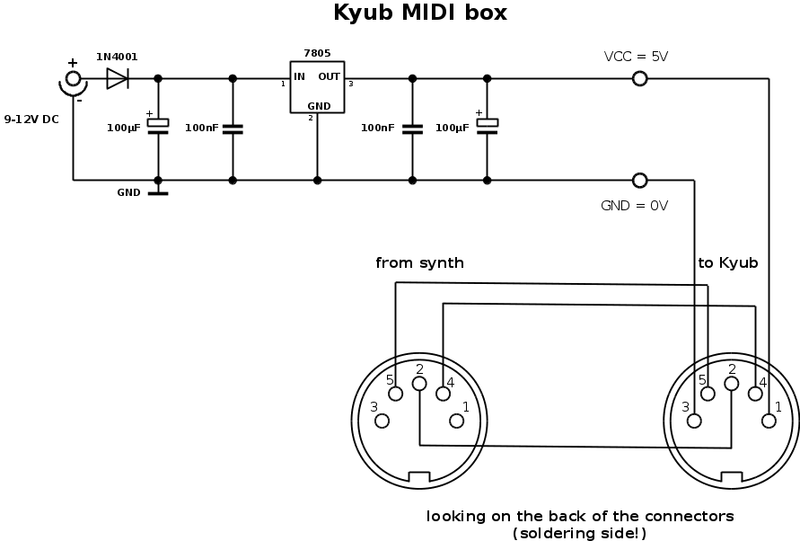 I want to use the Kyub with a MIDI-cable to connect it to real synths and only alternatively over USB to a PC. 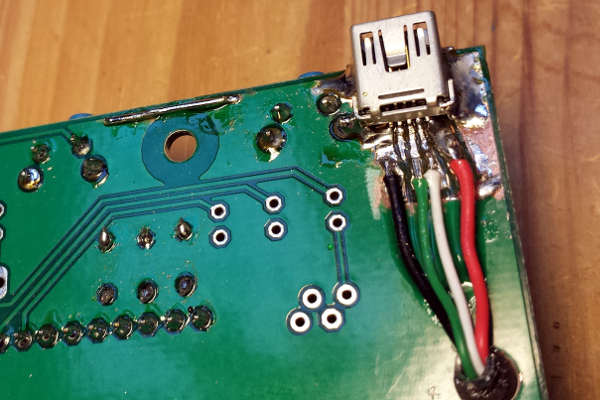 For the second hack a USB-connector is soldered to the PCB to get rid of the fixed USB-cable With a handful of components, no need to draw a layout. 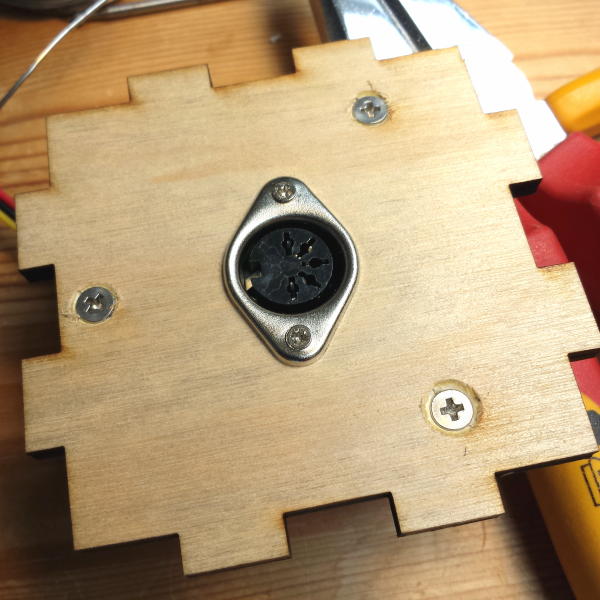 The circuits are mounted on breadboards: [! [midi_wireless hardware](png/midi_xbee2_800.png "midi_wireless hardware")](png/midi_xbee2.png) [! [midi_wireless hardware](png/midi_xbee2_back_800.png "midi_wireless hardware")](png/midi_xbee2_back.png) . 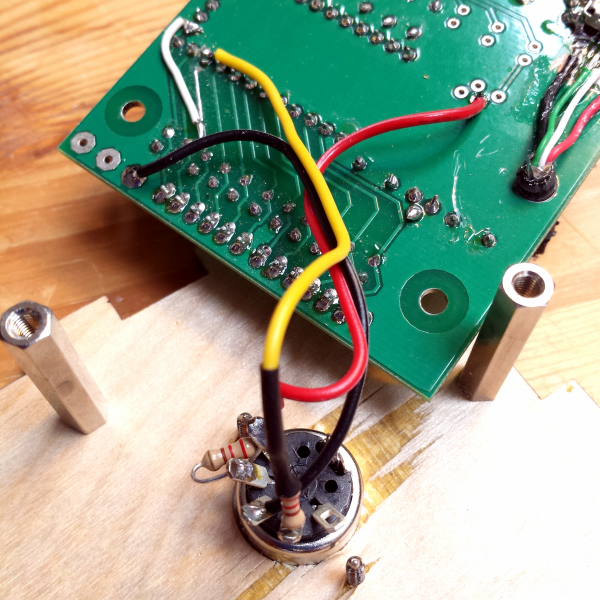 Now a MIDI-connector is needed to send MIDI-data. I use the internal UART of the Teensy on PD3 (TXD1, Arduino pin 8). 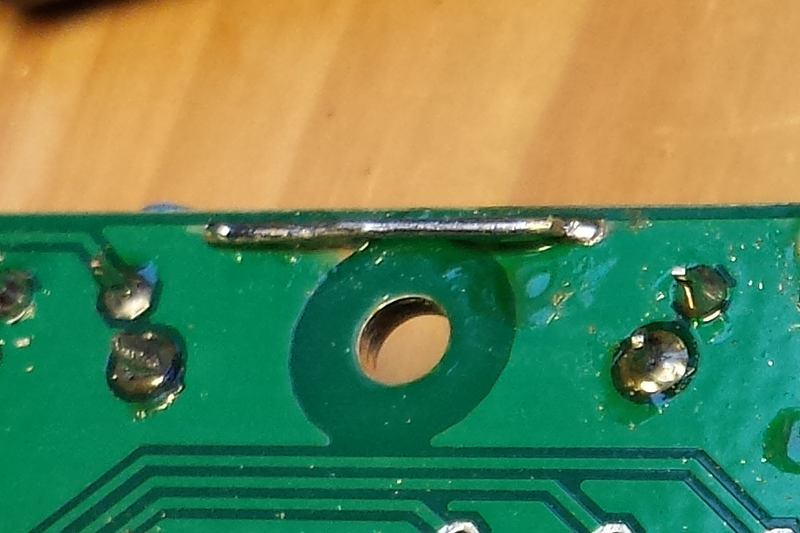 The pad from this pin is removed to PD5 (Arduino 23). The two free MIDI pins (1, 3) are used to power the Kyub (on the photo the bridge from 3 to 2 is missing). !Carefull! If you do this you have to be sure this pins are not used otherwise by your synth. 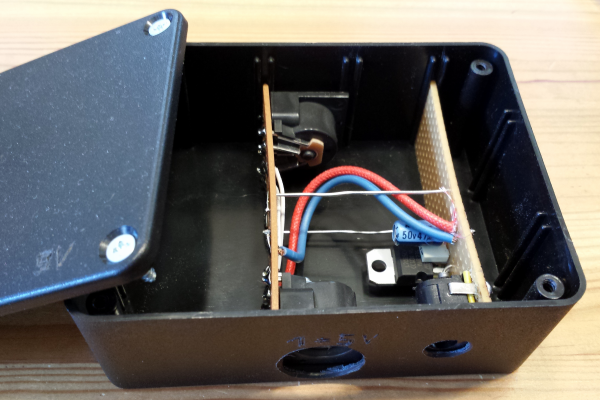 A little break-out box helps getting power if it is not possible to get it from the synth. 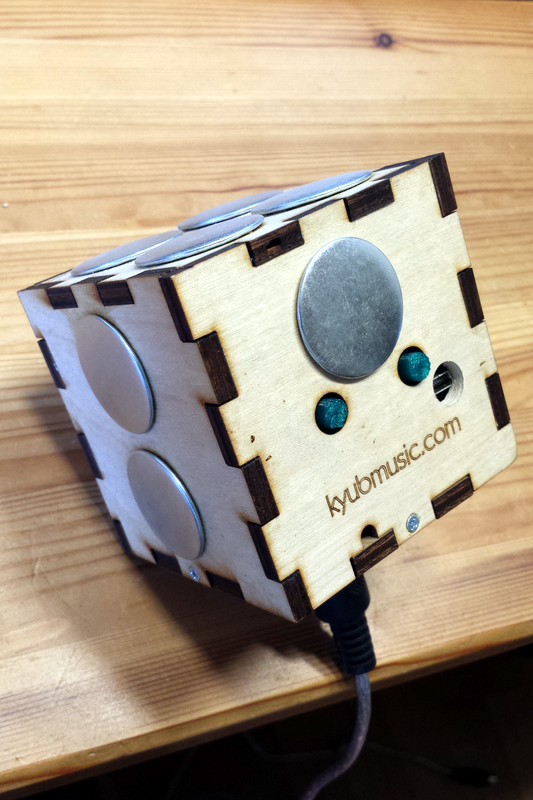 The push-buttons of the Kyub are not reachable without help. Two caps from the 3d-printer are helping here. After analysing the arduino software, I wanted to test the kyub with assembler (yes I like assembler). 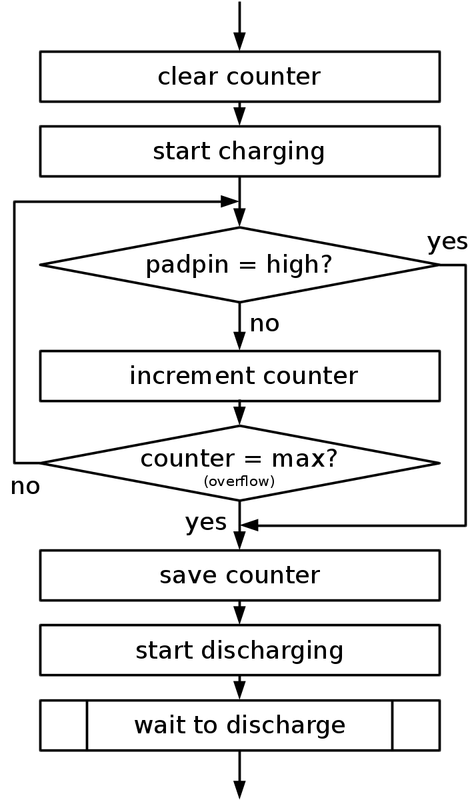 To see if the pad is touched, the counter value is compared to the threshold (about 20 in my code). To define, if a MIDI note has to be send the old counter value is also saved. So MIDI NotOn (0x90 (channel 0) + Note + velocity) or MIDI NoteOff (0x80 + Note + 0) are only send if there is a change. The three ADC-values from the accelerometer (x, y, z) are acquired in the main loop and stored as a base for the later min/max comparison. If a pad is touched, 200 accelerometer values in the pad direction are acquired an the minimum and maximum are defined. The difference*4 defines the velocity of the note (value between 2 and 127). The little USB-HID-library is used for debugging. In EP1_CNT you define the number of bytes to send to the PC (max. 63). The Bytes are written in the SRAM-Buffer (EP1_BUF). If EP1_FLAG is set to 1 the data is valid for the host.